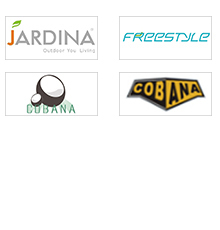 Freestyle is one of key modern group enterprises on outdoor products in China, specializing in design, producing and exporting outdoor furniture, gazebos, parasols and camping items. Our two modern factories convene skillful teams and strong R&D department to service our customers. Selling offices were set up in France, Germany and USA. With more than 27 years’ efforts, we successfully explore and develop market in Europe, America and Australia, and cooperate with plenty of famous companies in the world, like Wal-Mart, The Home Depot, Argos, Carrefour, Kettler, John Lewis, OBI, B&Q, etc.